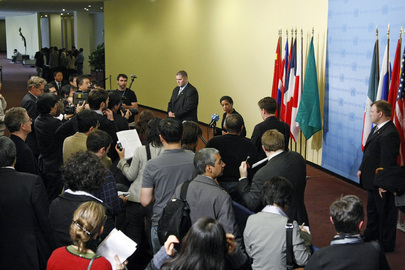 UNITED NATIONS, July 17 -- In fall out from the bombing in Indonesia, outside the UN Security Council in New York on Friday morning, Indonesia diplomats gathered. 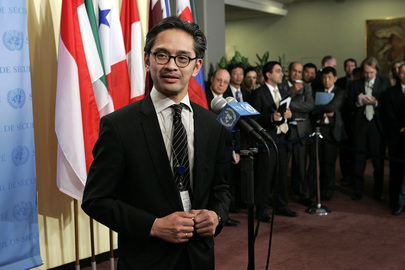 Their Permanent Representative Marty Natalegawa, until last year a member of the Council, went into the Council, which was meeting about Sudan. 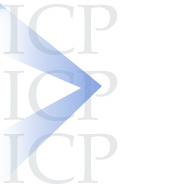 Inner City Press asked a series of exiting diplomats if a statement was to be expected. At first they replied to expect something said at the stakeout microphone. Then, a European Council diplomat told Inner City Press things are trending toward a Presidential Statement. One recalls the Council's fast action after the bombings in Madrid, where at the request of Spain's then-government the blast was blamed on ETA in a Presidential Statement. When that was later proved untrue, the Council never retracted its statement. Watch this space. 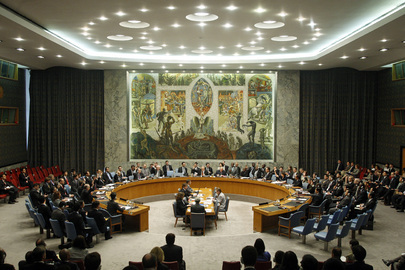 Update: as predicted above, the Security Council adopted a Presidential Statement. As cautioned, it did not opine on who was responsible, nor did Marty Natalegawa. Inner City Press asked if Indonesia wants or expects help from the UN, then another question about Indonesian foreign policy. Video here. UNITED NATIONS, July 16 -- Four days after what was said to be its deadline, the UN's North Korea Sanctions Committee on July 16 imposed asset freezes on five companies and five individuals, and prohibited providing North Korea with certain graphite products and, strangely, Kevlar. This last is usually associated with bullet proof vests. Inner City Press asked the Charge d'Affaires of the Republic of Turkey Mr. Fazli Corman, the Acting Chairman of the Sanctions Committee, why Kevlar was on the list. He said it was too technical to answer. Later, Googling, some connections were found. 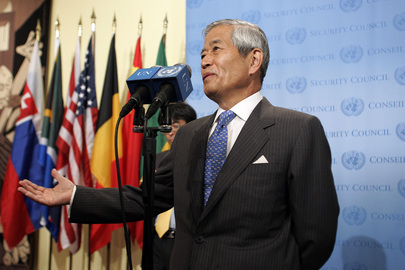 The star of the stakeout was Japanese Ambassador Yukio Takasu, who called it a historic day. Inner City Press asked if there had been any discussion of taking action on banks which might enable North Korea's arms trade or program, such as the bank in Malaysia regarding which the U.S. reportedly recently contacted Kuala Lumpur. Takasu replied that all banks -- "not only in Malaysia" -- have a duty of not assisting Pyongyang's programs. Several journalists asked Takasu about the Kang Nam 1 ship which left North Korea, reportedly for Myanmar, then turned back. One reporter yelled, what was on it? I am not comfortable discussing that in public, Takasu answered. Undeterred, Inner City Press asked if Takasu thought or knew it was heading for Myanmar. Takasu did not answer. While the Committee met in the UN's basement, this Q & A took place upstairs before UN TV camera, in the second floor stakeout in front of the Security Council. Earlier on Thursday, after an ill-attended stakeout by Stephen Rapp, current Special Court for Sierra Leone Prosecutor now nominated for the U.S.'s top war crimes post, a representative of the US Mission to the UN asked UN TV to not take apart its camera, to stay waiting "for an hour." Footnote: in full disclosure, just as the Sanctions Committee meeting was getting out in the UN basement at 1:15 p.m., a meeting began on "applying sustainable development to arms-transfer decisions," complete with free sandwiches. Several reporters including this one picked up one of the free sandwiches -- roasted red pepper on thick black bread -- but did not attend the arms control event, rather followed Takasu up to the second floor stake out. One US Mission staffer called this "ghetto," and vowed to blog about it. To echo George W. Bush and Pyongyang, on peppers but not Kevlar: bring it on. 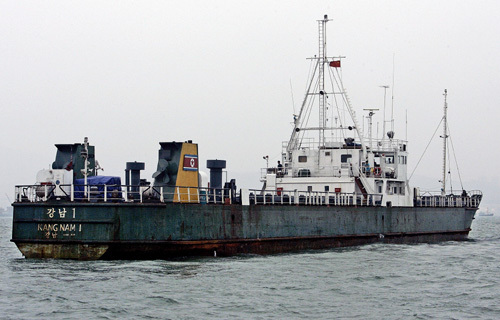 UNITED NATIONS, July 6, updated -- As the UN Security Council mechanically convened days after North Korea fired seven missiles into the Sea of Japan, the mystery grew around the Kang Nam 1 ship with its reputed cargo of weapons for Myanmar, and the unnamed Malaysian bank reportedly pegged to process Burmese payments. 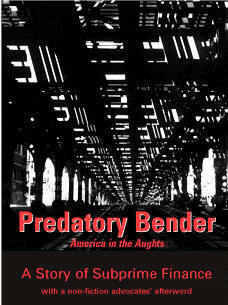 The place of a middleman between the regimes in North Korea and Myanmar is called by some the vortex of evil. Others apparently call it good business. "five Burmese companies – Htoo Trading, Kambawza, Asia World, Aden and Shwe Thanlwin – are known however to have provided machinery for the digging of the tunnels... A secret visit by General Thura Shwe Mann, the Burmese regime’s third-in-command, along with 18 other high ranking military officials to North Korea in November 2008, is another indicator of how the two countries have been cooperating. During the visit, Shwe Mann and North Korean Army Chief General Kim Gyok-sik signed an Memorandum of Understanding on further cooperation plans. The Burmese delegation also visited an underground military hardware factory near Pyongyang." But it is Pyongyang's threats to Japan and Seoul which trigger UN action. Myanmar gets a free pass. 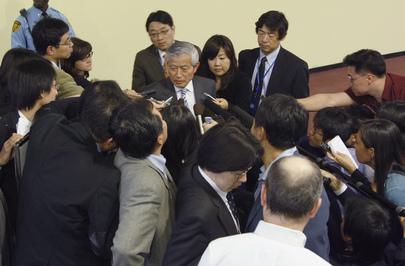 In front of the Security Council late Monday afternoon, Japanese media converged as they did after the last launch by Pyongyang. South Korea's Ambassador came and said they expect the Council to react. Inner City Press asked a Council diplomat when Ban Ki-moon's envoy to Myanmar Ibrahim Gambari is slated to brief the so-called Group of Friends on Myanmar. This is what Ban said when empty handed he left Myanmar: that Gambari would return to New York and brief the Friends while he traveled on to Geneva -- click here for Inner City Press' UNCTAD story -- Ireland and then the G-8 meeting in Italy. N. Korea's Kang Nam 1, returning home in Ban's penumbra? The diplomat said Ban would have been expected to do the briefing himself, but perhaps with so little accomplished, Gambari would have to do. A strange theory justifying Ban's apparently fruitless trip to Myanmar began to circulate in the UN on Monday: that it was due to Ban's presence that the Kang Nam 1 did not dock in Myanmar. Since Ban has already claimed on the Charlie Rose television program that he saved 500,000 people in Myanmar, taking credit for the Kang Nam 1's return to North Korea may not be far off. While the Malaysian bank at issue has so far gone unnamed, one wonders if the UN committee set to finger companies for sanctions this coming Friday might not name the Malay bank. Watch this space. Update of 5:40 p.m. -- the Council has "suspended" its consultations on North Korea until 6 p.m..
Update of 6:06 p.m. -- a Council diplomat tells the Press that whatever will happen today will happen soon. The crowd of mostly Japanese media expresses a collective desire to leave. Update of 7:05 p.m. -- First, the Chinese delegation strode out, telling the Press, the President will have a statement for you. Then the U.S. squad, with Susan Rice, Alejandro Wolff and at least two bodyguards, came out, the bodyguards between Ms. Rice and the press. Finally the Ugandan Ambassador, Council president for July, emerged and read out what he called an "oral statement," that the Council condemns the missiles, finding them a violation of resolutions. He was followed by Japan's Ambassador Yukio Takasu, who called the "oral statement" -- less even than a formal Press Statement, which in turn is less than a Presidential Statement which is less than a resolution -- "clear and strong." 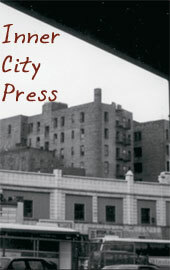 Inner City Press asked Amb. Takasu to comment on the Kang Nam ship. Takasu said that Japan had spoken with other neighboring countries about their duty to search such North Korea ships if they came to port. Inner City Press asked, did Japan speak to Myanmar, and what does Japan think of Ban Ki-moon's recent two day trip to Myanmar: success or failure? Takasu said Japan spoke "bilaterally" to countries in Asia "but not necessarily to Myanmar." He said it was too early to judge Ban's trip, she spoke with Ban and Gambari "during" the trip and would be briefed upon Ban's return to New York. He called the current outcome of the Kang Nam trip a demonstration of the value of UN resolutions. But the Ugandan Ambassador told Inner City Press that the Kang Nam didn't even come up during the consultations, and another Council diplomat confirmed this. Go figure. Watch this site. UNITED NATIONS, July 2 -- While the UN in New York announced that its World Food Program will shrink what remains of its program in North Korea, in the midst of declining donor confidence and missile tests by Pyongyang, the UN was more quiet about the restrictions it had been under and is accepting in the country. WFP in a memorandum from Beijing notes that the Kim Jong Il government now requires that none of WFP's remaining international staff should be able to speak Korean. Inner City Press is told that WFP - Pyongyang's main Korea speaker was expelled from the country as persona non grata on June 20 and that this bodes badly for UN Secretary General Ban Ki-moon naming a new UN envoy to North Korea. Reportedly, Ban had focused on a South Korean envoy, with an eye toward running the candidate by members at the upcoming G-8 meeting. But if Kim Jong Il is expelling from the country what few UN system Korean speakers remained, such an envoy seems even less likely. Speaking of WFP and the G-8, for the upcoming meeting WFP is flying in children from Ghana to eat as a part of an "exhibit" for the spouses of G-8 leaders on July 10. The internal WFP email is below. Several WFP sources expressed disgust to Inner City Press at the event, which they ascribe to WFP head Josette Sheeran. One asked, "Would she parade around Food Stamp recipient in the United States?" 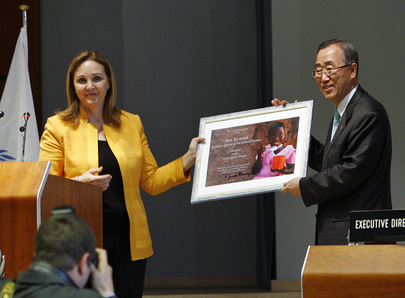 They put the expenses of the event, including the substantial closure of the WFP headquarters on July 10, at $500,000. UNITED NATIONS, June 12 -- After twenty days of talking about nuclear North Korea, the UN Security Council on Friday adopted a sanctions resolution. Afterwards, China's Ambassador emerged to say that for cargo inspections, there should be no use of force, not even the threat of use of force. Inner City Press asked Japan's Ambassador Takasu, who was bragging how strong the resolution is, if what China said is true. Video here. In a lengthy answer, Amb. Takasu argued that the resolution calls for suspicious ships to go to the nearest port. And if they don't? Then they get reported to the Security Council's committee on North Korea sanctions. It is reminiscent of a scene in the spoof film Team America, in which Hans Blix is asked by Kim Jong Il what Blix will do if North Korea does not comply. We will write another letter to you, Blix answers before being thrown to the sharks. Inner City Press: The resolution allows for sale of small arms and weapons to North Korea, there is an exclusion to allow that sale. Why is it in there and does France favor that ? Amb. Ripert: for light arms, some categories of arms. It was requested by some member states saying that what we want to achieve is not to have a full embargo against the country of North Korea, what we want to achieve is to cut the links that North Korea has to get some resources to fund its programs and its by exporting arms that they get some funding. So the important part of the reasoning was to stop the export of all those arms to cut their resources and their funding. Inner City Press: Is there any discussion about the two journalists which have been arrested and now condemned to 12 years of hard labour ? What does France think of that ? Amb. Ripert: there were discussions all over the place at the United Nations but not in the Security Council. We were discussing the resolution. We of course strongly condemn the condemnation of those journalists. Inner City Press asked new UK Deputy Permanent Representative Philip John Parham if and why the UK supported allowing the sale of small arms and light weapons to North Korea. "We have have preferred a broader ban," he said, "but this is what has been agreed by the Council." Video here, from Minute 4:40. The UK reportedly held another briefing for select journalists; perhaps there they explained their vote for a specific exclusion to allow continued flow of SLAW. Inner City Press: About the Georgia consultations given President Sarkozy’s role in it. Is there a resolution ready for vote Monday and does France believe that it should say "Abkhazia, Georgia", or how is that going to be resolved, what is your thinking ? Amb. Ripert: There are talks going on now, as you know we had to spend a lot of time on North Korea, unfortunately we started discussing Georgia a bit late. There are very serious talks now among the group of friends of Georgia and we will continue those talks probably today, this morning and we hope to be in a position to circulate the text as soon as possible with the aim of adopting a new regime before the expiration of the resolution on Monday night. Later the German mission specified that negotiations will continue over the weekend. Georgia's president has reportedly vowed to do all possible to get the word "Georgia" in the resolution. But Russia is holding most of the cards. We'll see. Footnote: No U.S. representative came to the UN stakeout on Friday to talk about the resolution. The US Mission explained that Susan Rice was in Washington. Some questioned why the U.S. would have so little to say at the UN on this issue. Regardless of one's view, the fact is that France, Japan and the UK spoke and took questions, while China spoke but took no questions. The U.S. neither spoke at the stakeout nor took questions. It can further be noted that while UK Permanent Representative Sawers is away, his Deputy spoke and took questions. What does this all mean? Watch this site.